It is also often used along with other antibiotics to prevent and treat disseminated Mycobacterium avium complex (MAC) infection. MAC is a type of infection that affects people with HIV or human immunodeficiency virus. It can treat chronic obstructive pulmonary disease (COPD) flare-ups due to bacteria. It works by stopping the bacteria from replicating and spreading. This kills the bacteria and treats the infection. 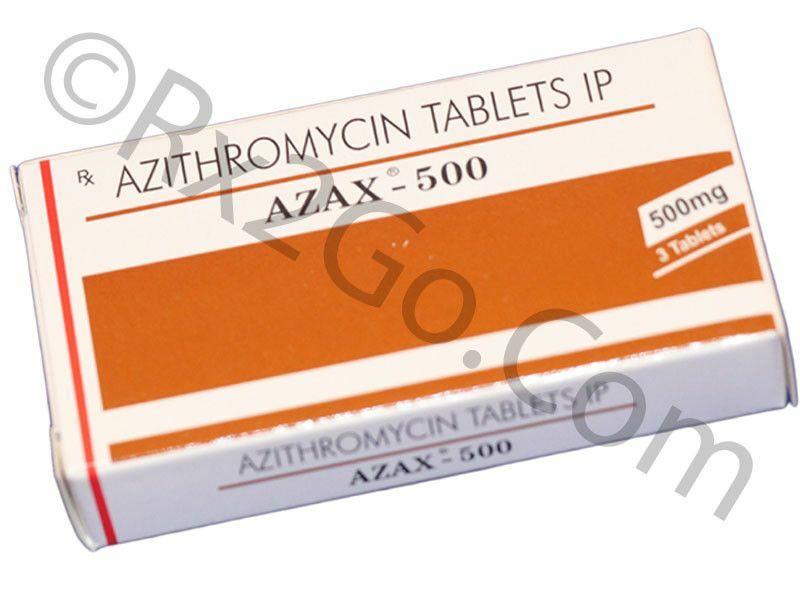 Azithromycin is available in oral suspension and tablet, eye drop and intravenous form. It is available as a generic and as a brand-name. This drug only works against bacterial infection. It does not work for flu, colds and other infections caused by viruses. Your dose is based on your condition and the severity of your condition. For the treatment of lung and skin infection, the recommended dose for an adult is 500mg taken on the first day followed by 250mg on the next 4 days. For COPD flare-ups, the recommended dose is 250 mg daily for three days. For the treatment and prevention of MAC, the recommended dose is 1200mg once a week. For children weighing 34 kg or less, their dose is based on their body weight or as determined by the doctor. The duration of the treatment and the daily dose vary depending on the type of infections. Take this medication exactly as prescribed. Follow the prescription label carefully. Finish the entire course of the treatment even if you feel well. Do not stop taking this medication unless you are told to do so or you will experience side effects that are bothersome. In this case, call your doctor right away. Misuse of this drug may lead to bacterial resistance. Do not use antibiotics without your doctors’ prescription. Do not use antibiotics to treat viral infections like colds and flu.